Some celebrities choose to announce a wedding via publicist, or cash in by selling their wedding photos to a tabloid, but not Margot Robbie. The Aussie beauty, also known as antihero Harley Quinn in the recent hit movie Suicide Squad, chose to cheekily tell the world about her marriage to actor Tom Ackerley via Instagram. In the joyful, uncontrived post she flips her ring finger at the camera to reveal a sparkling pear-shaped diamond, while she and her new husband kiss in the background. And what about that diamond? Robbie’s stunning ring is both classically beautiful and distinctive, like the woman who wears it. It showcases a sparkling pear-shaped diamond, set on a delicate band embellished with glittering pavé diamonds. 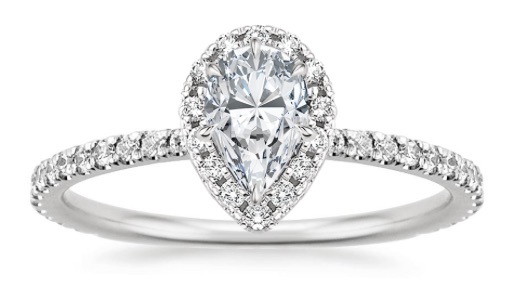 Also called a “teardrop” shape, a pear diamond is a modified take on a round brilliant diamond, which means that it possesses 58 facets and the same breathtaking sparkle. 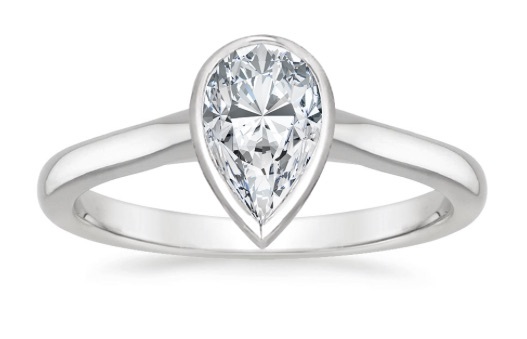 Although you can wear a pear diamond ring however you want, the traditional way is to slip it on so that the pointy tip of the diamond is directed toward your finger nail rather than your hand. Pear diamond engagement rings are very flattering, as the shape elongates the look of your finger. If you adore pear diamond rings like Margot Robbie’s, discover some similar designs. 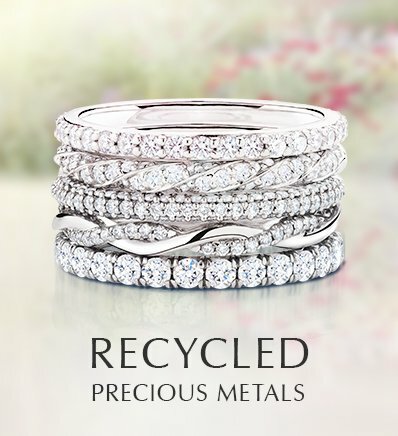 All are made of ethically sourced diamonds and feature eco-friendly recycled precious metals. As with Margot’s ring, the Petite Shared Prong Ring design showcases a dazzling pear-shaped diamond, accented with the incandescent shimmer of pavé set accent diamonds. 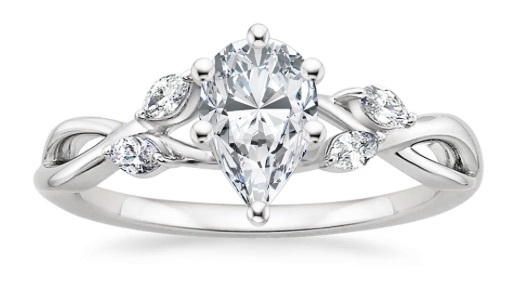 The center diamond appears to float just above the delicate band. In a slightly more glamorous take on Robbie’s beautiful design, the Waverly Ring embraces the center diamond in a halo of scalloped pavé diamond accents. A chic claw-prong setting adds a subtle designer detail. If you’d like to pair the eye-catching curves of a pear-shaped diamond with a more minimalist setting, consider the Luna Ring. This solitaire design features a contemporary bezel setting, slightly elevated so that light reaches the diamond from all angles. 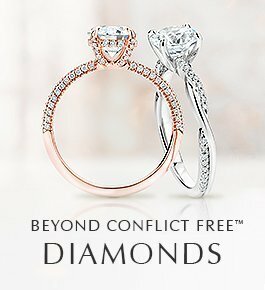 The nature-inspired Willow Ring combines the curves of a pear diamond with a curving setting that evokes vines and branches. Marquise diamond buds twinkle alongside the center gemstone. 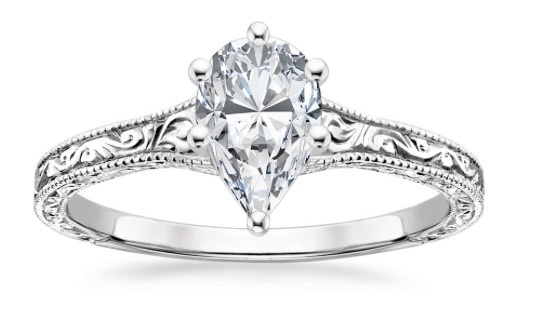 A pear diamond looks regal set in the vintage-inspired Hudson Ring, which is embellished with intricate hand-engraved scrollwork along the band and delicate milgrain detailing at the edges. What do you think of Margot Robbie’s pear-shaped engagement ring? Let us know in the comments below, or on our Instagram, Facebook, or Twitter! 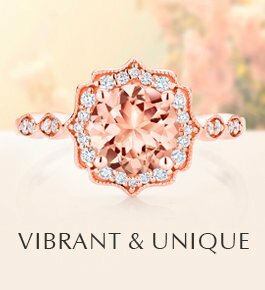 Awesome designs and I like the fact that the diamond ? 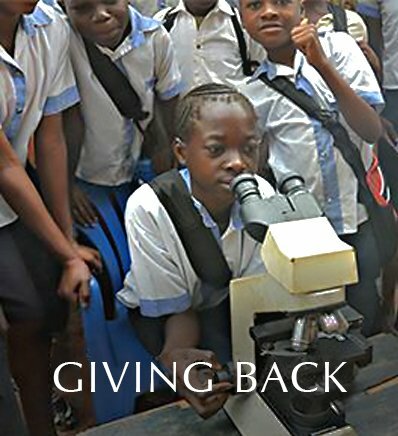 are ethically sourced. I want to say one thing !! That photo ?? nothing short of “genius” !!!! Love it !!!! Nice ring, she deserves it, but shouldn’t have gave us the bird! 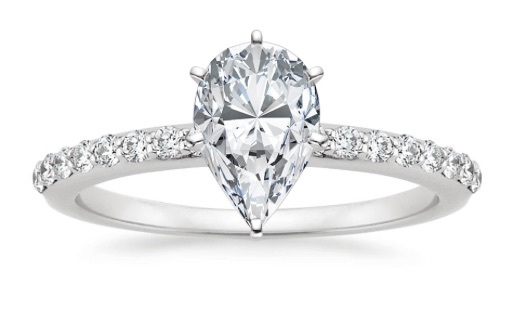 I just celebrated my 28th wedding anniversary JUNE 25th I don’t even know what gift would be appropriate but the PEAR shaped diamond is quite eye catching .